Lately I’ve been thinking about why I’ve taken on the leviathan that is writing epic fantasy, especially when the trend seems to be to break stories down into smaller, more manageable chunks. I’ve even looked at carving some of the smaller storylines out into something standalone. Losing a book or two. Throwing the whole thing into the Pacific Ocean and being done with it. But there is something about epic fantasy that calls to me to keep going. To find a way to keep pulling on these story-threads until the big picture reveals itself. Epic Fantasy, to me at least, is the grand canvas. It looks at more than one person’s journey. In some sense it’s about revolution, always about change and the things sacrificed along the way. The Lord of the Rings wasn’t just Frodo’s journey to Mount Doom, it was so much more; the time of great change that effected everyone in Middle Earth. How such times shape people, and how their experiences can be quite different. At the heart of epic fantasy is the human response. Where we dig in, where we stumble and what we value during the hard times. What is it about this particular time in history (in my fantasy world) that is causing people to step outside of the everyday? What is so important that they will risk life, limb and everything they hold dear to ensure a certain outcome? What temptations draw them away from this goal? What things will they refuse to let go of? And I see these parallels as I’m writing too. What causes me to sit up late and write and rewrite and try and find a way through the many stories that make up this one? What will I give up? Sleep. Plenty of that. Time. So I can put in hours and hours of work, the results of which I am in no place to share with anyone yet. If you write you know the sacrifice of going to that place. I’m always tempted to give up. So I don’t have to tell people I’m still working on it. I’m tempted by other stories and the promise of shorter timeframes. Of sunny days and the call of the garden. Of a paycheck. And yet I haven’t let go. Because apart from anything else, epic fantasy inspires me. At the urging of many a book blogger, I pre-ordered The Winner’s Curse long before release, received the gorgeous hardcover, and somehow managed to squish in reading it. I’m typically terrible about finding the time to joy read, but HOLY COW THIS BOOK. It gripped me. I stayed up way too late and ignored friends and simply basked in this masterpiece. (Also had a happy panic attack when this happened.) I have a hundred and one things to say about it, but I’ll do my best to narrow it down to four or five. First off, the writing. I loved some of the unusual descriptions that many people wouldn’t be able to get away with, but somehow the author was able to make them totally work. Those lines that I’m always afraid are a little too ironic or a little too intense? She puts them in there, guys! And not just anywhere. They are chapter endings. THE ACTUAL ENDING, ZOMG. This is what prompted me to gush all over Twitter that I think I have a kindred spirit, to run out and buy all her other books pronto. I’m now a crazy fan, thank you very much. Okay, now that I’ve gotten my adoration for the writing off of my chest, there’s Kestrel. I haven’t liked a main character this much in years. She’s smart and cunning, and she knows how to use her intelligence without rubbing everybody’s face in it. Her personality was realistic and deep. I loved that she didn’t go around earning respect by being as tough or attractive as others. Instead, she was very much her own person, with her own tastes and friends and qualities and weaknesses. I love a character with a passionate streak, or deeply wounded with complicated motivations, and even some who are harsh and unforgiving, but I also love a character with downright sense. Kestrel is sensible while still managing to feel things deeply, and she knows how to strategize around life crap that gets thrown at her. Basically, I adore her. Arin, the Herrani slave Kestrel wins at auction at the beginning of the story (thus invoking the “Winner’s Curse”) was expertly layered in every sense. His entire race has been conquered and made slaves — and that alone is enough to justify the bitterness he shows toward his purchaser — but he’s not whiny at all, and that made me literally want to hug him. He is displeased and incensed by his circumstances, so he sets out to change them, and he does so in a smoldering cloud of awesome. The conflict between him and Kestrel was crackling, and I liked it even more than their romance. There’s nothing quite like two honorable characters, equal of mind and soul, going at each other with words [knives, swords, poison, chains…ahem]. The secondary characters do not disappoint — Kestrel’s friends, Jess and Ronan (especially Ronan); an opponent of hers, Irex; and perhaps my favorite, Kestrel’s father, a general in the Valorian army — are all interesting, complex, and real in their own right. Oh wait, General Trajan totally deserves his own paragraph because the father/daughter relationship is so freaking flawless. Kestrel’s father sometimes seems too unemotional and commanding, yet the way his wife died gives him cause to pull away AND cause to want his daughter to be as rugged and logical as possible. Also? He treats her as an equal. So much of the Young Adult genre eloquently reflects how idiotic parents can seem to a teenager, but I LOVE that someone decided to portray a teen that is actually pretty good at putting herself in her parent’s shoes and understanding him as a person (teens can be sympathetic and observant too, y’know). Trajan, although rather emotionally challenged, does everything he can to give her equal parts privilege and responsibility. And although she finds herself disagreeing entirely with his political views, Kestrel manages to never personally betray him — which, you know, just made me ❤ ❤ ❤ her all the more. I love that Rutkoski doesn’t shy away from showing many sides of mortality. There are slimy characters, people we think are well-meaning who turn out to be douchy, and there are beautiful, sacrificial souls that might have seemed shallow until the surface was scratched. (I AM rather bitter that we didn’t see enough Ronan in this book. I want more Ronan.) Nothing in the story was overtly magical, and that made me love it ten times more. Kestrel’s world is layered in history and humanity instead of symbolism and supernatural powers. I’ve always been drawn toward the more realistic/historical worlds in the fantasy genre, especially where the greatest emphasis is on the characters. 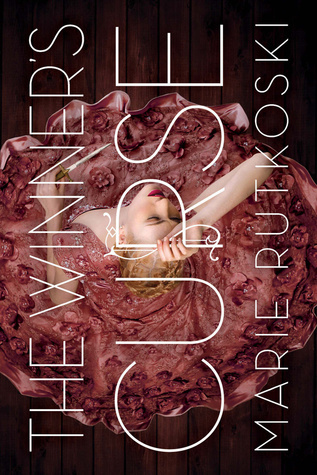 The Winner’s Curse is the first in a trilogy, so there’s more coming, YAY! You’d think that, with all this talk of story bibles (or, as I like to call it, encyclobibliogrimoires) and such, that I would be more of a plotter than a pantser. But I’m really not. I try to plot, I really do. It just never works out for me. My characters start doing their own thing and I go with it, and my plans go out the window. So how is it that I can love story boarding so much if I never go by my plans for my novels? Simple. I story board after I write. It’s a great way to keep up with a timeline and to mark important story points and world building areas. I tend to do this as I go in Scrivener, but having a physical story board really helps me creatively. I’ve been reminded of why this is as I create a story board for my upcoming book Altar of Reality by Curiosity Quills Press. I just sent my first round edits back to my editor (yay! ), finished pre-editor edits on Heirs of War, Crown of Flames, and am happily free to write. 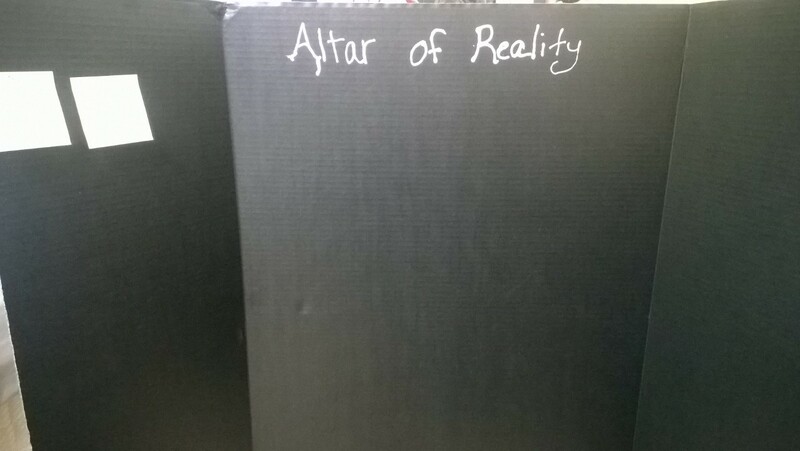 I’ve decided to write the sequel to Altar of Reality (tentatively the SHIFT series). But now that I’m free, the ideas just weren’t flowing. So what do I do? I go back to the drawing board. Literally. Nothing gets me more jazzed about my story than looking at it from a cat’s eye view. It’s way too easy to get bogged down in the details when you are editing. And sometimes rereading it can be even worse. By the time you are at the point to write a sequel, you’ve edited that first sucker into the ground. You’re tired of looking at it. But story boarding allows you to look at the individual parts and how they stack up as a whole. You’re reevaluating the characters and the journeys they go through, which can help you figure out where they are going next. And it can be just the kickstart you need to whoop your writers’ block and get your muses agreeing with you again. What are your thoughts on story boarding? Are you one with the digital age and aids available like Scrivener, or do you prefer the old school method? Whatever publishing path they’re on, writers are advised to have a “social media presence” and to create an “online platform”. Some are very successful at it, others find it more difficult. If you belong to the second category, I’d like to share a few ideas to help you make the most of your online presence. Another good way of building a following is to post regularly, and often. I’m not suggesting a rigid posting schedule here (I certainly don’t have one!). But posting on your blog 2-3 times a week, tweeting 8-10 times a day or pinning pictures on Pinterest once a week can work wonders to help you become a familiar online presence. Pick a few topics that you’re passionate about. Pick a few social media services. 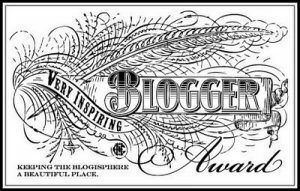 Writers, if they want to write, can’t spread themselves too thin online. It’s important to choose a few ways to interact online, and to stick to them. It’ll help people understand your “profile”: who you are and what you’ve got to offer. 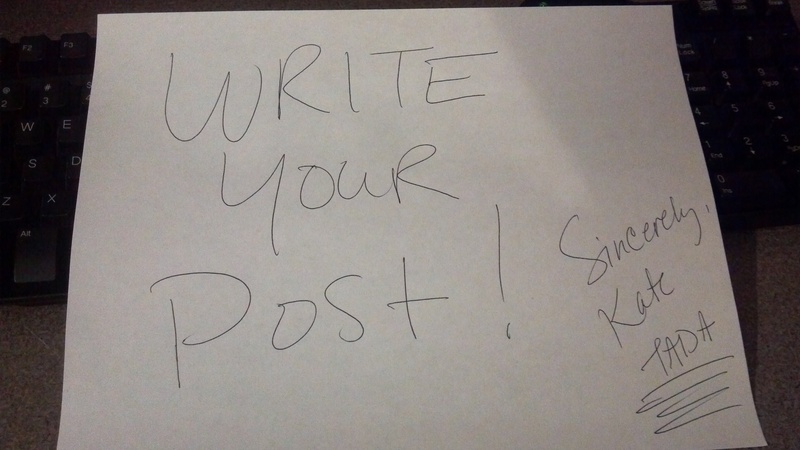 Social media shouldn’t be a chore for writers. I set aside about half an hour every day to check/update my favourite sites, and it’s always a fun moment of my day. If you’re forcing yourself to build a platform and your heart isn’t in it, it’ll show and it’ll be a waste of your time. Social media is about networking: it’s about doing online what people usually do in real life, i. e. chatting, sharing ideas, sharing good practice, sharing silly/funny things, sharing news, socialising. You find people who share your interests (readers, writers, etc.) and you interact with them in a friendly/polite way until you become friends or at least acquaintances. People are much more likely to buy your books or listen to what you have to say if they know and appreciate you. What’s your favourite social media service, then? I’m a big fan of Twitter (to chat with people), Pinterest (to create boards for writing inspiration), Tumblr (to share visual content that I like). I don’t use Facebook very much anymore (do you still do?). And I’ve never tried Google+, Instagram or Youtube. So tell us about you and social media in the comments! Because I forgot last month. The reason I forgot? I was in the middle of moving my “day job” business to a new location. It took about a month to get the space ready, from cleaning and painting, to buying new supplies. The move was necessary because the atmosphere of the previous location had become depressive and stagnant. To the point where I no longer looked forward to going in and even contemplated quitting. I didn’t realize just how much it affected me until I was firmly settled in my new place. Suddenly I felt renewed. I looked forward to going in again and even began jotting down new ideas to expand my services. In less than two weeks, I garnered four new clients. I felt lighter and happier than I had in more than two years. The other day when I thought about all this, I realized I’d done the very same thing with my “writing” business. I was stuck ¾ of the way through my fantasy novel, THE GENTIAN SOUL, and had been since last year. I hated everything new I wrote, the story became less and less appealing to me, and my creative juices seemed to dry up because of it. I couldn’t even switch and write in my other fantasy stories. Everything felt stagnant. It wasn’t because I didn’t love them, I just couldn’t feel them. Sometime last year, and I can’t even remember where I saw it, someone said try writing in a different genre if you’re stuck. It was either that or quit. I hadn’t written anything decent for nearly six months but I didn’t want to quit. So, at the end of January this year, I started writing a contemporary. And WOAH. That baby took off. I’m at 62,000 words (I didn’t write in March or April, only edited—1) because of my move and 2) CPing for friends) and even though the story isn’t actually the first in the series, I’m WRITING. And here’s the best part: not only has writing contemporary helped me improve my pacing and character development, it got my creative juices flowing again. Ideas for THE GENTIAN SOUL are dancing in my head and I’m actually looking forward to diving back in. Hopefully in a few months I can write a post titled THE END and tell you all about it. What about you guys? Ever had to move in order to re-invigorate your writing?